A Sea Glass Journey is your go-to resource for everything sea glass. Teri describes the origins of sea glass, where the best locations are, the rarity of the colours and the various shapes and treasures that are discovered along our shores. You'll also find a collection of inspiration, some of my creations and tips for easy, fun things to do with the sea glass you find. 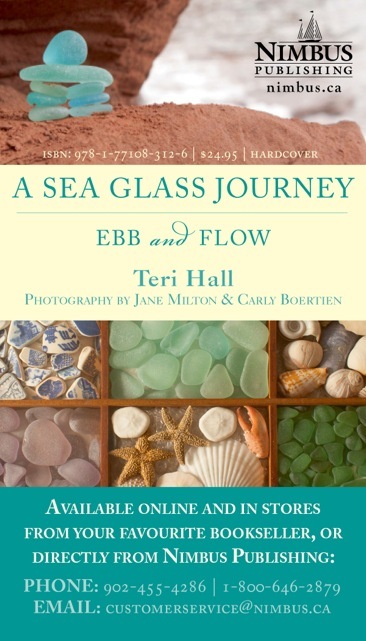 Richard LaMotte, author of "Pure Sea Glass" states: "Teri has assembled a remarkable collection of personal experiences complemented by those of others who share her passion in the hunt for glorious sea glass." Over 130 pictures. I invite you to sit back and enjoy the book as much as I loved writing it. Thanks!